Leopard Club and Legend have joined forces again. 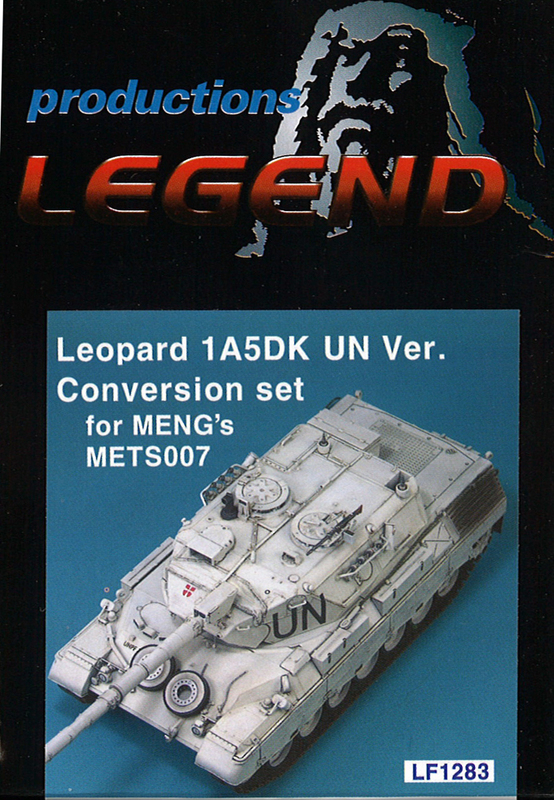 When Leopard Club suggested a conversion of the recent Meng Leopard 1A3, Legend were very eager to join the Leopard party. I was quietly pleased to hear that Leopard Club were working with Legend on this conversion. When Legend announced their conversion set for the Danish 1A5DK1 that served with SFOR and KFOR, I was pleasantly surprised and it turned out to be an outstanding conversion kit. In the Danish community there was widespread talk about whether this kit would cover all 1A5 versions used in the Danish Army? This was naturally possible, although some scratch building would still be necessary. One of the desired tanks was the earlier UN version used by DANSQN as a part of NORDBAT2 in the Tuzla area. 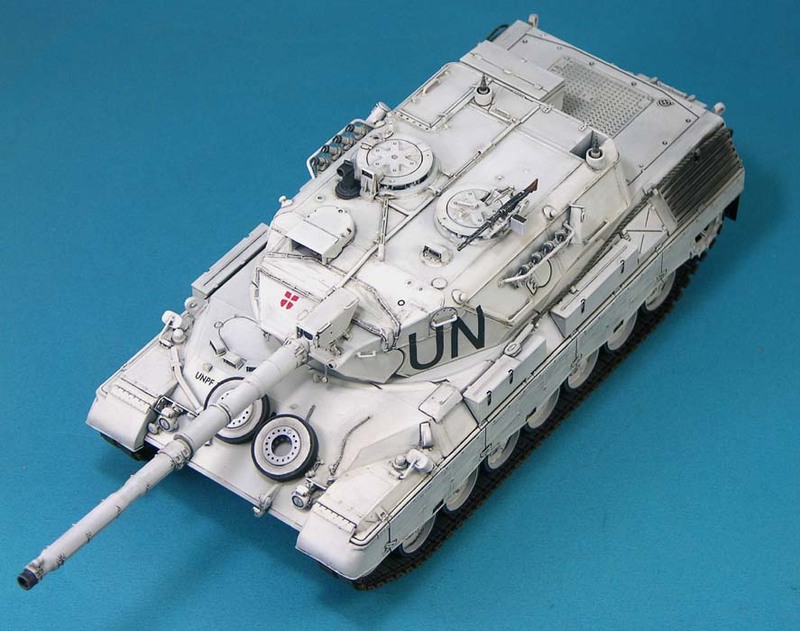 This Leopard 1A5DK version is the type that saw service with the United Nations in Bosnia from April 1994 until September 1995. These tanks were the first Leopard 1s to fire their guns in anger. 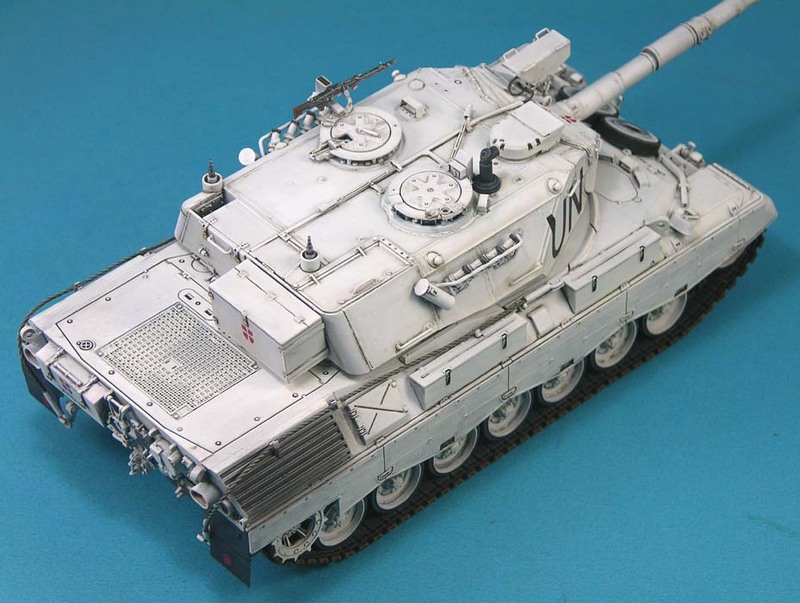 All these Leopard tanks were surplus 1A5DK versions with two alterations - they were repainted in white with huge UN letters on the side and they were equipped with the white-light searchlight from the M41DK programme. The latter addition was made because it was believed that all sides would realise that if they could be reached by the searchlight, they were within reach of the gun, too! All Leopard tanks were taken from Jydske Dragon Regiment (Jutland Dragoon Regiment). 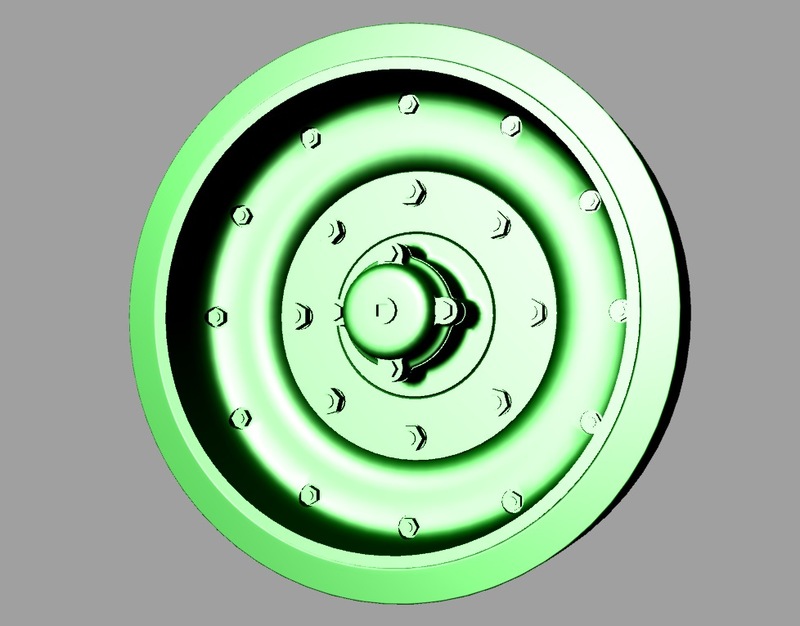 In this regiment, the practice was to add a toolbox from a Bedford J6 truck to the back of the turret. 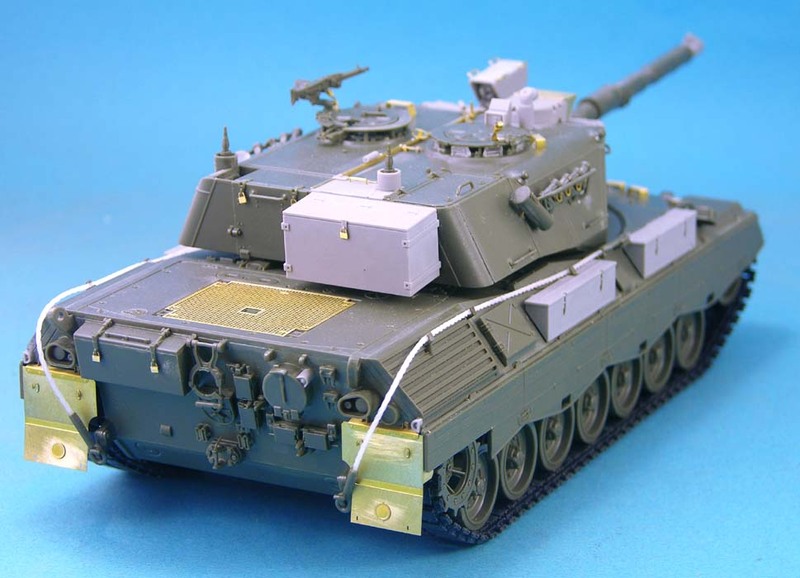 Therefore, all UN Leopard 1s had these and, before this conversion, the tool box would have to be scratch-built as the only extra item. But then Legend announced they would make a UN set, too! The contents of the kit are like a 'scaled down' version of the DK1 kit. There are only two things extra but a number of items have been left out (parts to make the DK1 alteration). 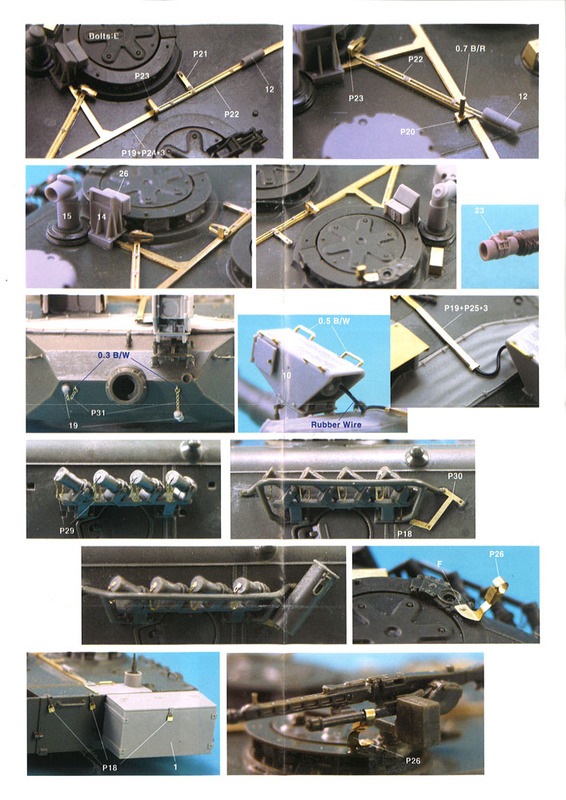 There are 34 resin parts (26 different items), two sheets of brass PE parts (some 40+ parts), three sizes of brass wire, a (useless) piece of nylon string and a rubber covered wire for the searchlight. As much of this is the same as in the DK1 kit, I will focus on the new parts. For a review of the other parts (which are very good), read my review of the DK1-SFOR kit. All Danish Leopard tanks have a piece of tube in front of the driver. This tube is for the cable when equipped with a dozer. The tube for this is included in this kit. The other extra part is the tool box hung from the rear of the turret. The box is a solid casting, which I don't think anyone would mind. However, a model with this box opened showing personal kit would be awesome. Both of these items are equally as good as the parts of the original kit. In my review of the DK1 kit, I expressed high satisfaction with the quality of the parts. The same goes for this kit, too. Cleanly cast, easily cleaned, good fit giving a trouble-free assembly - all this gives you a nice experience. In contrast to the DK1 kit, Legend has either been misinformed or hasn't spent enough time on researching their subject. Either way a few mistakes have found their way into the kit. 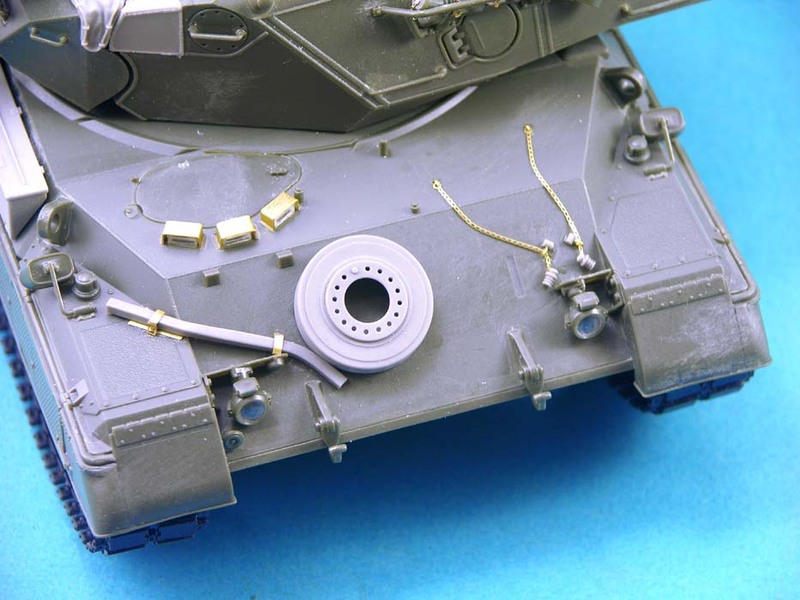 The cable guide running along the middle of the turret should not have any rifle clips on the UN version (these are for the M96 Carbine which were not yet introduced). This also rules out the diagonal support beam that runs towards the commander's hatch. There are also no channels on the lower edge of the lower hull for mounting the dozer/plough which was a standard fitting on all Danish Leopard 1s. Apart from these minor errors, I think this kit offers you high satisfaction and a good model of the Danish UN Leopard 1 can be built. The etch parts are all very useful and will definably improve the model. 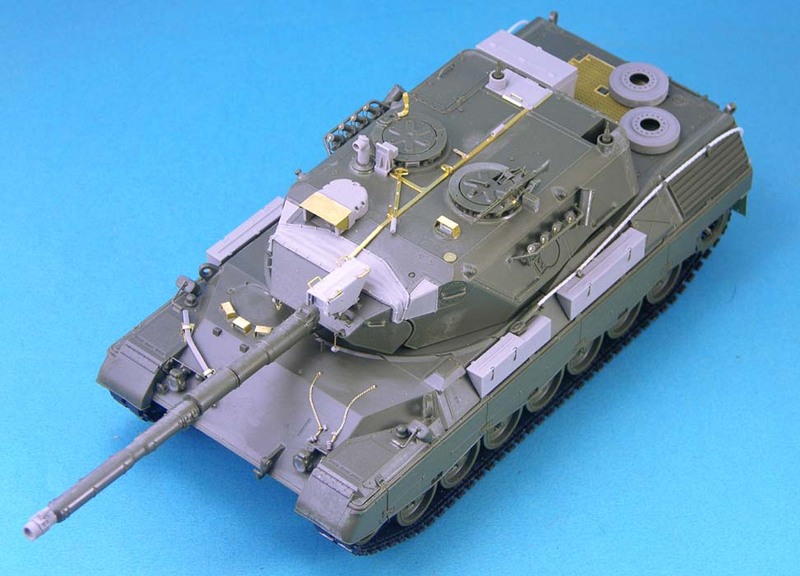 In my DK1 review, I claimed that the parts would easily fit Italeri's Leopard 1A4 kit as well. I have to admit that they do need some trimming now that I've tried it. 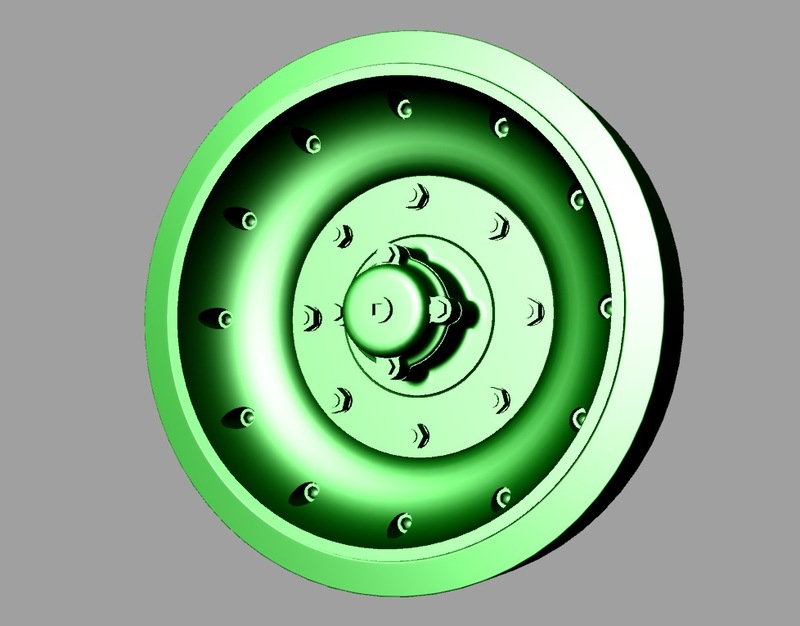 It is not anything that a moderately experienced modeller wouldn't be able to. However, they are not as easily done as I had previously claimed. The kit contains two spare wheels, but fails to mention where to put them. Most tanks tied them to the front of the hull. However, others tied them to the top of the engine cover. Many tanks also tied white painted wooden boxes to the engine deck, too - mostly 105 mm ammunition boxes. Check your references on this. There are a few items missing though. On the lifting rings at the back of the hull, most Danish tanks had a piece of pipe added (for supporting the camouflage net when in cover). On the left side of the turret rear, a piece of pipe for the UN flag was bolted inside the small space next to the box for the IR illuminator. 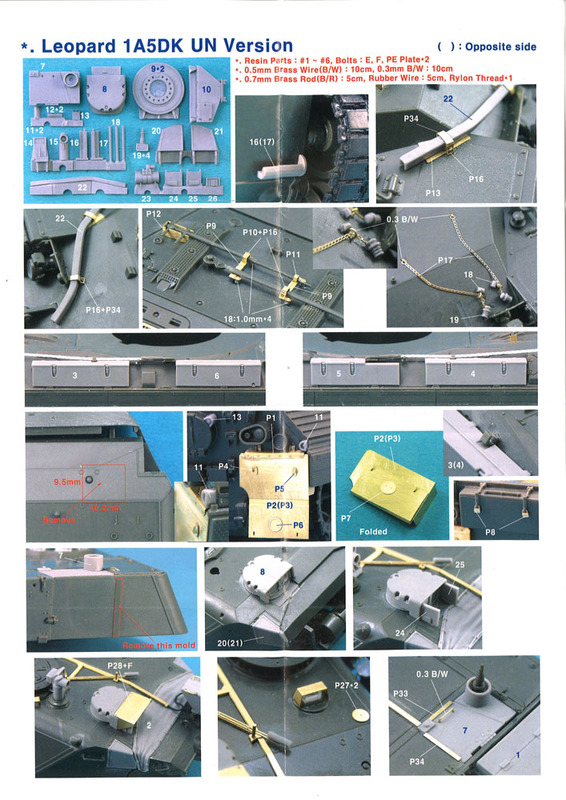 The third missing item is the support bracket for the RAMTA Mine Plough cable at the front of the hull (the same one found on some Canadian tanks) that some tanks had. All these things are minor issues, though. A somewhat more important issue are the road wheels. By the time of deployment, the Danish Army had decided to have the wheels re-rimmed locally. Three different versions existed because they were fabricated in three different places over time. Many UN Leopards had these - as did all DK1 Leopards. I haven't seen any with every wheel replaced, but all had some. Check your reference for specific vehicles and period. Anyway, none are provided in the kit. Hopefully, Leopard Workshop might come to the rescue. I can certainly give this set a thumb up - and I'll recommend it to anyone who wants to make a Danish UN Leopard 1. 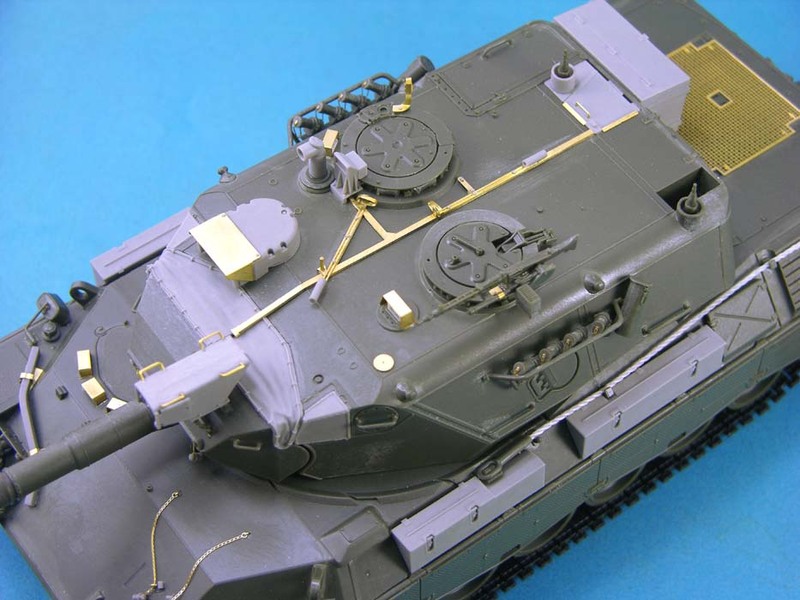 A good review of this kit from Jason Bobrowich appears here courtesy of Armorama. 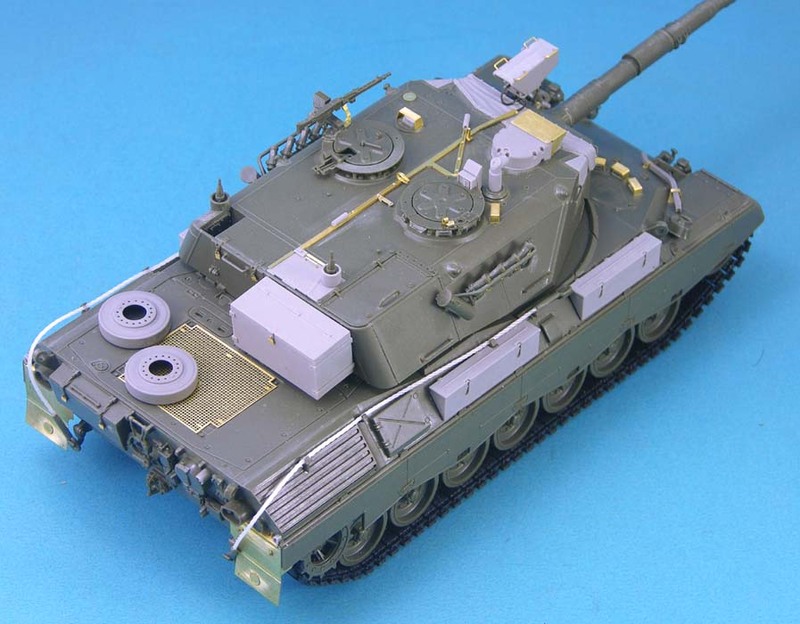 Don't forget that markings are available for the 1A5DK from Leopard Workshop to finish off your model.